Its time for another Unibroue Dinner at Aroma Thyme in Ellenville. We love their beers, especially the the La Fin Du Monde. This dinner is already selling fast. 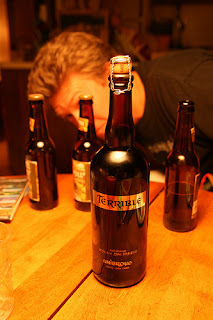 We once again had a waiting list for the last beer dinner. DON't miss out on the beer dinner. Call 845 647 300 to make reservations today. 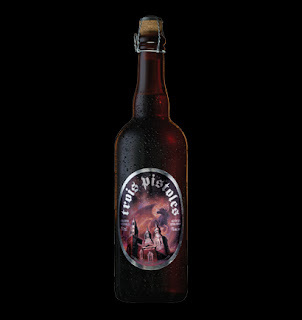 We will have a rep from Unibroue on hand to present the beers. 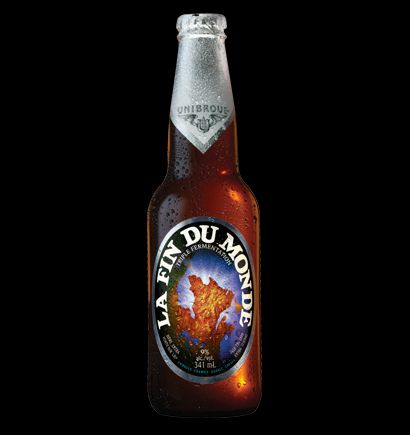 From the very beginning, Unibroue has carved out a special niche in the beer world with top quality products and a brand rooted deep in Quebec culture. It made history by becoming the first North American beer maker to use a brewing method inspired by the two-centuries-old tradition developed by Trappist monks in Europe - particularly in Belgium. Over the years, Unibroue has remained faithful to its origins even as it has grown to become an icon of the brewing world. Unibroue products take you on a journey filled with legends and fabulous tales. 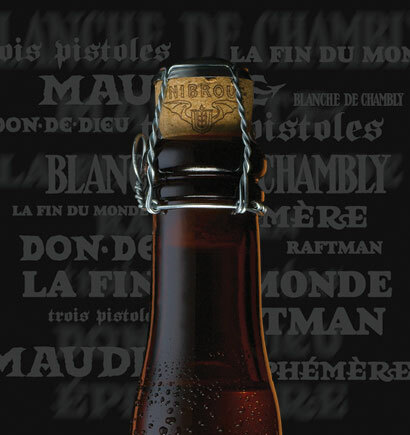 All Unibroue products are made using a combination of the same basic ingredients: water, malted barley, malted wheat, wheat, yeast, hops, sugar, fruit, and spices. 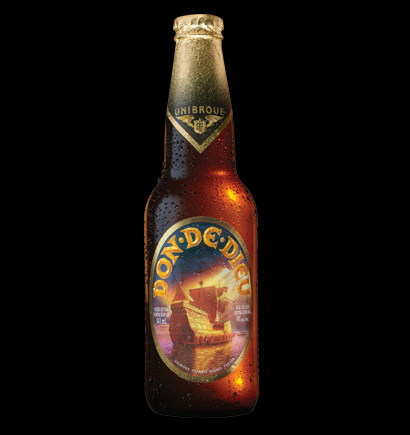 With the exception of La Bolduc and our U beers, their products are brewed using a traditional bottle fermentation method in which fresh yeast and pure sugar are added just before bottling. They are only partially filtered, which is what gives them their distinct appearance and natural cloudiness. This brewing method results in strong, intensely flavored and highly effervescent beers. It is almost exactly the same process used to make champagne. The only difference is that while the lees are extracted from champagne using a local cooling process, it is left to settle at the bottom of their bottles once the natural fermentation and saturation (carbonation) process is complete. This process requires strict quality controls because the addition of chemical additives or preservatives would kill the yeast. 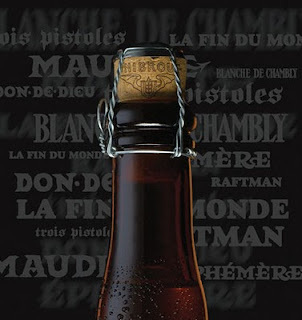 It is this method that produces the distinctive Unibroue flavor. Flavor: Smooth, complex flavor that is slightly fruity, malty, nutty, and yeasty, with a hint of unfiltered sake. Flavor: Slightly sweet. Enhanced by accents of roasted malt, cocoa, ripe fruit and dark spices with a smooth finish like an old port.